Bitcoins? Currency of the future? It looks like your prediction will come true sooner rather than later, as BTC is still rallying. There are even some rather outrageous predictions that it will eventually reach $2000 and above. What I am more curious about is whether this is a bubble that will burst at some point or whether it has real long-term prospects. Considering the times we live in the latter seems the more logical outcome or am I just being optimistic? There are even some rather outrageous predictions that it will eventually reach $2000 and above. I think 1000$ is strong psychological level and price will stay near it for some time. I was looking for the right place to put this. This seems like the place, since the thread was started way back then. I’m not an advocate of Bitcoin. However here is something that managed to slip past me. 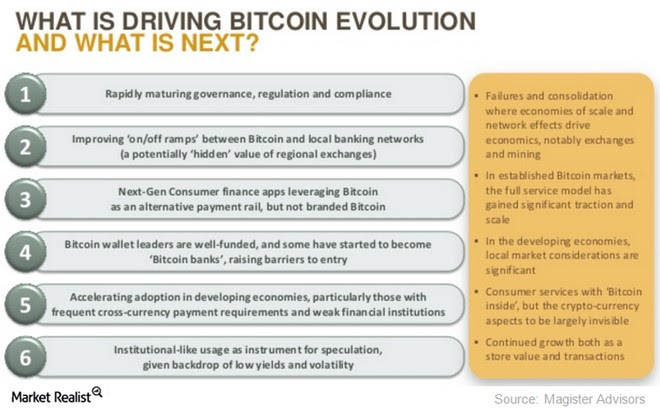 [I]Bitcoin is at a critical juncture. Any time now, the Securities and Exchange Commission will issue a decision that could throw open the door to a flood of new capital, and change how many investors regard the digital currency. While Japan’s making steps to accept bitcoin as a regular currency, the Bolivian financial system supervisor, the ASFI, said local authorities have arrested 60 people who who were “presumably conducting training related to the investment in virtual currencies”. According to the statement, the offenders were apprehended last week by the a criminal special forces unit, while they “were carrying out training activities related to the investment of money with characteristics of multilevel activities” in a cinema hall in the city of Santa Cruz de la Sierra. Bolivia is one of the countries that has prohibited cryptocurrencies and considers them “pyramidal schemes that are only looking to appropriate the money and savings of Bolivians”. Some people embrace progress, others reject it or take much longer to embrace it. We cannot deny that bitcoin is a quite controversial currency. But it is still considered as the future. Many countries and governments try to deny it and forbid it because it’s not regulated by any nation or bank and therefore is considered as a quite risky one. But I think it has a lot of potential although it has no physical existence. What concerns me is that the more and more bitcoin is becoming accepted and used, the higher the risk for thefts and scams is. 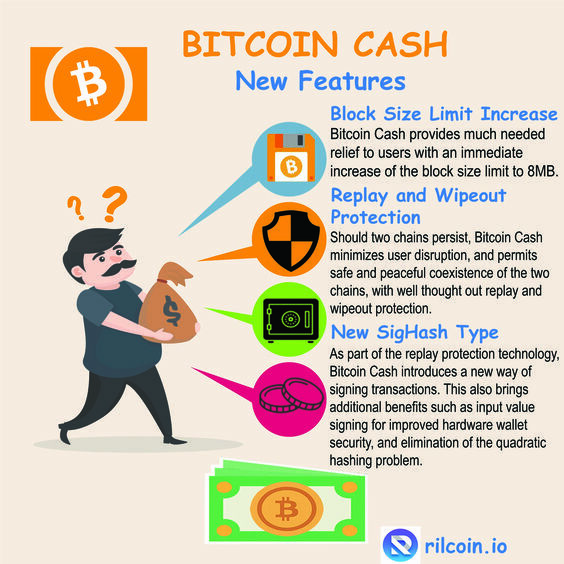 If for an example your bitcoins are stolen by a hack, can you recover the lost cash? Hello guys!! 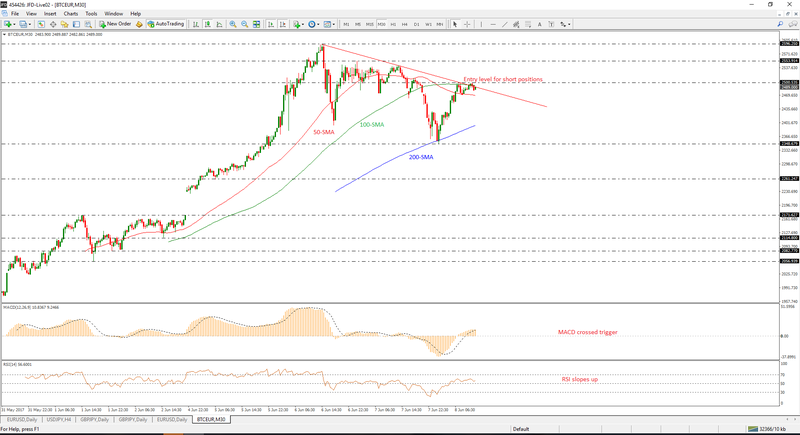 This is my first short-term analysis on the BTC/EUR currency pair. On a 30-minutes chart it seemed that the price is in a downtrend and my expectation is a further downside move. I believe also that cryptocurrencies will be the new future in forex. That’s it exactly. The discussion around bitcoin is still quite narrow in most places, over whether it will replace gold, serve as a hedge, reach 2000, 3000, 30000, etc. Regardless, bitcoin is a previously unheard of monetary device (for lack of a better term) that is stampeding all over central banks and getting away with it. Transacting behind their backs. Sure, we see resistance at the governmental levels, but Goldman is supporting it! This is a bit strange when the other side of the spectrum, the anti-“fiat” money crowd, has been heralding it as the new solution for subverting devaluation, inflation, crises, and other nefarious central bank engineered activities. Bitcoin may not be anything special, and it may not even last much longer, but it certainly is special in the new era it is ushering in. Some believe it’s a first step in establishing a global currency, which I wouldn’t be surprised to see, especially the way the USD is being talked down as being a reserve currency. What we should be considering here is not what bitcoin is now, but what it represents in terms of the future of currencies and global economic policy. Bank of America's commodity and derivatives strategist laid out a history of world currencies and whether bitcoin fits into that trajectory. People want to double their coins. Nobody is selling bitcoin. It’s nice that this thread was boosted. If you go back to the first post from 2012 starting with: “Has anyone heard of these bitcoins?” and then think about the growing popularity of the Bitcoin each day…it’s like a Bitcoin diary. Great stuff! The more Bitcoin and cryptocurrencies in general become popular, the more regulators will concern themselves with putting them under control. CySEC just set new rules on cryptocurrency trading - they‘ve banned the exercising of EU passporting rules when offering CFDs on cryptocurrencies, meaning that if trading in cryptocurrencies or products with them is forbidden in a given EU or third country, the broker should not offer those products in it. Also, under the new rules, the brokers must not offer to retail clients a leverage of more than 1:5 on those instruments and the volume of crypto CFDs should not exceed 15% of the total turnover of the broker per quarter. I think we‘ll be seeing a lot more such measures taken all over the world in the next few years until cryptocurrencies are put under some sort of regulatory framework exactly because of their growing popularity. OP here. Never thought I’d be replying to my own thread from six years ago when bitcoin was less than $10. I never bought a single bitcoin. Wish I had. I did get some free XRP when they launched in 2013. So that’s cool. But if I had just dropped $1k on bitcoin when this post was written I’d be a millionaire right now. Oh well. I feel you. I heard about Bitcoin a few years back, and did not think much of buying it. You can still be a millionaire. Just have to spend $1,000 on the right coin. I’m not sure that it’s currency of the future, but I believe that it’s a good option for making money.